Early on in EffectsBay history, I started Free Shirt Wednesday. Basically, it’s a way for builders, dealers and bands to get some exposure on the web site. They would send me a shirt, I would wear the shirt and I would talk about what they do. It’s been a fun thing, and a great way to get the word out. If you’re interested in being featured on Free Shirt Wednesday, click here for more info. 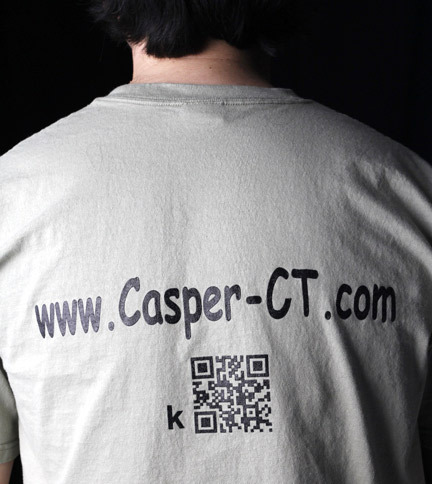 This week’s Free Shirt Wednesday is brought to you by Casper Guitar Technologies of South Florida. What’s interesting about Casper guitar is their use of “smartwoods” for their guitars. Smartwoods are reclaimed lumber or sustainable / rapid growth lumber. A good example of a smartwood is Poplar and is often used as an alternative to Alder and Ash. Casper guitars focuses on high quality, individually hand crafted guitars while being environmentally conscience – zero impact guitars. I like it! Along with custom guitar and bass builds, Casper Guitars also offers custom effects and effect repair/refurbish and rehousing services. Definitely check out Casper Guitars and view their gallery. Some very nice guitars have come out of that place, and is definitely worth a look. 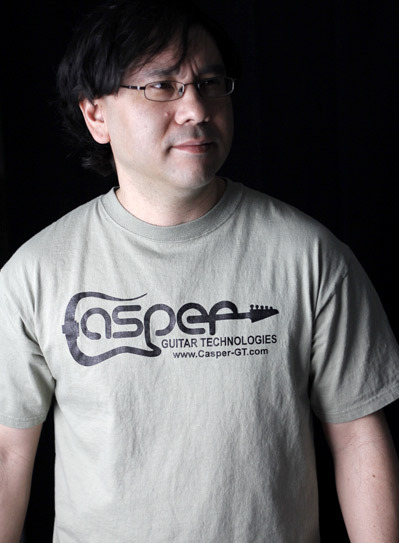 You can also visit Casper guitars on Facebook and please follow them on Twitter!